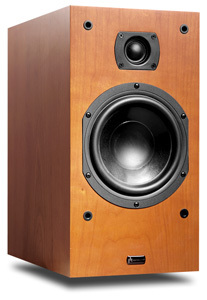 Aperion Audio began in 1998, when Winthrop Jeanfreau needed a new speaker system. After shopping around, he realized that he could build better speakers for much less than hed be able to buy them at a retail store. Not only that, he thought he could also (given some judicious marketing) sell them to the public. By cutting out the middle man and selling direct to consumers, Jeanfreau believes he can offer speakers competitive with models that cost a lot more when sold at traditional bricks-and-mortar retailers. One advantage of such stores, of course, is their ability to demonstrate speakers to customers before purchase. To compete with this, Aperion offers a 30-day in-home audition. If youre unhappy with the speakers for any reason within 30 days of their arrival, you can send them back for a full refund -- and unlike most online dealers, Aperion pays the return shipping. This policy offers the customer something that even most bricks-and-mortar retailers dont: the option of trying out Aperion products in the place that matters most -- the home. Aperions website is aimed at helping people put together multichannel home-theater systems, but theres no reason to think the companys speakers cant be used in a two-channel, music-only system. For this review, I was sent two Aperion Intimus 632-LR bookshelf speakers ($299 USD each) and an Intimus S-10 subwoofer ($499). While theyre some of the least-expensive speakers Ive reviewed, the Aperion Intimus 632-LRs arrived in some of the most luxurious packaging Ive seen: plush, crushed-velvet, satin-lined bags that, if nothing else, indicate the pride Aperion has in its products. The luxury feel is continued in the speakers themselves, in real-wood veneers that ensure that Aperions speakers look much more expensive than they are. The same styling is found on the Intimus S-10 subwoofer. Im sure the style-conscious -- or those with style-conscious partners -- will find that the Aperions meet their décor needs. The 632-LR measures 15" high by 7.88" wide by 12.75" deep and weighs 26 pounds. From its size alone, I didnt expect the speaker to weigh quite so much, but its made with 1"-thick high-density fiberboard (HDF) -- not the less expensive, more common medium-density fiberboard -- to help eliminate cabinet resonances. My review samples were finished in a cherrywood veneer that I liked quite a bit, but Ive seen Aperions high-gloss black lacquer at hi-fi shows, and its equally attractive. Aperion claims a sensitivity of 86dB with a nominal impedance of 8 ohms and a frequency response of 46Hz-20kHz, +/-3dB. The 632-LR has a 1" silk-dome tweeter and a custom-designed 6.5" woofer, and uses Aperions HD-X3 impedance-leveling crossover technology. For full details on this technology, you can read the white paper on Aperions website, www.aperionaudio.com, but the important point for the end user is that it makes the speaker more efficient. This means its easier to drive, more forgiving of inexpensive electronics, and reportedly results in a fuller, more natural sound. The speaker has a port on the rear, along with five-way binding posts. The 632-LR needs to be placed on stands, and Aperion offers a couple of options: the Studio Tech stand ($99 each) and the B-Tech BT77 wall mount ($33 each). Buyers could easily find other alternatives, but it would be easier to order stands or mounts right along with the speakers, all direct from Aperion. The Intimus S-10 subwoofer measures 17.5" high by 13.25" wide by 19" deep and weighs 56 pounds. It has a 10" PVA-damped driver, an amplifier rated at 200W, and a rated frequency response of 25-160Hz. Like the Intimus 632-LR, the S-10 is made of 1"-thick HDF. The S-10s asymmetrical internal bracing prevents standing waves, which can affect the sound, and it comes with brass floor spikes to couple it to the floor and (hopefully) produce tighter bass. Footers are also included so that those of us with hardwood floors can use the spikes without damaging the wood. All of the S-10s controls are on the rear panel. At the right top is the On/Auto/Off power switch. The Auto setting kicks the subwoofer into gear only when it receives a signal. Next to the power switch are line-level inputs and outputs on RCA jacks. The line out lets you daisy-chain multiple S-10s, if youre a real bass freak. One of the line-level inputs is designated the Subwoofer input, if youre using it with a home-theater receiver. Under the power switch and RCA jacks are, from left to right, three identical knobs: Phase, Crossover, and Level. You can choose between 0 and 180 degrees with the Phase knob, adjust the Crossover from 40Hz to 160Hz, and, with a little patience, set the Level to blend seamlessly with your speakers. Below these are speaker-level inputs and outputs, if you choose to run your speaker cables from your amp, through the sub, and on to the speakers. Some integrated amps that Ive had here have a dedicated subwoofer output, but many still do not. If not, you may have to use these binding posts, which are plastic-covered five-ways that look to be of acceptable quality. Finally, on the bottom, is a receptacle for the supplied power cord. The 632-LR and S-10 come with a ten-year warranty, which should relax even the most nervous buyer. They also come with a one-year trade-in policy that allows customers to replace them with more expensive Aperion models and receive a credit of the full purchase prices toward the higher models. I used the Intimus 632-LR and S-10 in a system that included a B&K AVR307 home-theater receiver and a Rotel RCD-1070 CD player. The interconnects were Analysis Plus Solo Crystal Oval, the speaker cables Kimber 4PR. As I often do, I began my auditioning with the Great Jazz Trios Someday My Prince Will Come [CD, Eighty-Eights/Columbia CK 92819]. The fantastic playing of Hank Jones, Elvin Jones, and Richard Davis, and the superb sound achieved by the recording engineers, make this album one of my desert-island discs. The Intimus 632-LR and S-10 produced a big, punchy sound that had no trouble convincing me that the three musicians were in my room. During "Softly as in a Morning Sunrise," I had no doubt that the piano was life-size, and the projection of soundstage depth seemed much better than I had a right to expect. The Intimus S-10 played deep and produced very musical bass lines. 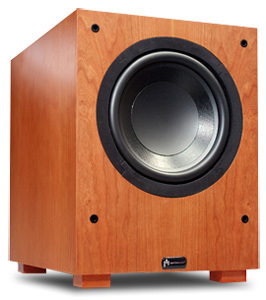 Cheap subwoofers sometimes suffer from being boomy, and sometimes seem to offer only one-note bass. Neither was true of the Intimus S-10. To give the Intimus system an orchestral workout, I put on the soundtrack to Star Wars: Episode III -- Revenge of the Sith [CD, Sony Classical SK 94220]. During "Battle of the Heroes," the Intimuses were able to differentiate all of the instruments and didnt at any time sound congested. Early in the track, in a driving violin line, it was easy to distinguish individual violins from one another. Hearing the Aperions reproduce this soundtrack recording made me want to hear a complete Aperion home-theater system. I think their upbeat, lively sound would do a fantastic job with action movies. I hadnt listened to Rob Zombies Hellbilly Deluxe [CD, Geffen GEFD-25212] in some time, but after listening to the Aperions for a few days I thought it was time to hear how well they could rock. They rocked very well indeed. The electric guitars on such songs as "Dragula" and "Living Dead Girl" were crunchy and loud, and the drums had real snap. If I listened to more rock music, the Aperions might never leave my listening room. While hunting for the Rob Zombie disc, I came across Trickys Vulnerable [CD, Sanctuary 06076-84618-2] and decided to give it a listen, too. Trickys interesting covers of XTCs "Dear God" and the Cures "The Lovecats" both feature whispered vocals. The Aperions did a good job of keeping these clear and distinct from the louder instruments making up the mix. While listening to Tricky, I realized that the Intimus S-10 had been left on during my listening sessions. I wanted to hear the 632-LRs on their own, so I turned the sub off, and was impressed by the bass the speakers were able to generate all by themselves. The Rob Zombie and Tricky CDs are bass-heavy, but I had no problem enjoying them without the S-10. In fact, the 632-LRs sounded so good that Id recommend trying the speakers on their own first. You may just find that, in a two-channel application, there is no need for the subwoofer. I compared the Aperion Audio system with one from Axiom Audio, another firm that sells direct via the Internet. Still using my B&K and Rotel electronics, I replaced the Aperions with a pair of Axiom M22 bookshelf speakers ($460/pair) and an Axiom EP175 subwoofer ($550). Were I to judge speakers by their finishes, the Aperions would have won hands down: their cherrywood finish was easily more attractive than the Axioms vinyl finish. Moving beyond physical beauty, I found that both speakers offered good value for the money but offered very different sonic pictures. The Aperions had a forward, attention-grabbing sound, while the Axioms were more laid-back and smooth. This difference was easy to hear playing the Great Jazz Trios rendition of Duke Ellingtons "Caravan." When I played it through the Aperions, I got the impression that I was but a few feet from drummer Elvin Jones. Through the Axioms, I was noticeably more removed from the musicians. Better or worse? To me, they just sounded different. On Rob Zombies "Dragula," I preferred the Aperions up-front and slightly bright sound to the Axioms more relaxed presentation. But I preferred the Axioms on classical fare such as Arvo Pärts Orient & Occident [CD, ECM New Series 1795]. The Aperions said "Get up and dance," the Axioms "sit down and study the music." But again, this seemed more an issue of preference than of absolute better or worse. I always find it difficult to compare subwoofers, especially if both subs to be compared are doing their job well. Maybe Im just not that much of a bass-head, but I found it hard to declare a preference between the Aperion and Axiom subs. One advantage of the Aperion S-10 is its On/Auto/Off switch. The Axiom EP175 has only Auto/Off. I sometimes find that a sub set to Auto fails to kick in when I expect it to. Whenever Im in one of the big-box electronics stores, I marvel at how beat-up the speakers look, how poorly theyre set up, and how uninterested the staff is in helping the customers. Aperion conquers these problems by sending brand-new speakers right to your home and offering great customer service, both online and over the phone. The Aperion 632-LRs sound was clear, uncongested, and lively, and the S-10 subwoofer worked admirably to provide nice, deep bass and fill out the sonic picture painted by the main speakers. And Ive seen far more expensive speakers that look much worse than the Aperion Intimuses, which can be displayed with pride. If I were shopping in their price range, I wouldnt want to pass up auditioning the Aperion Intimus speakers. If you listen exclusively to rock, electronica, or hip-hop, they seem especially well-suited for you. You wont be able to do head-to-head comparisons as you might at a dealers showroom, but you will be able to hear them in your home for weeks before you need to make a firm decision. Like Axiom Audio and HeadRoom, Aperion Audio has helped make the Internet a good place for audiophiles to shop.